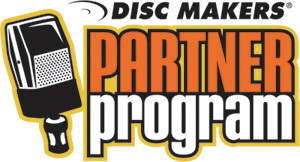 Global Sounds Partners with Disc Makers! For the DIY musician, making music without expert support from industry professionals is tough. That's why Global Sounds have partnered with Disc Makers and their partners. If you are serious about getting your music reproduced and heard by the right people, then Disc Makers and their partners is truly the right way to go. check out their website at www.discmakers.com, then make an appointment by calling us at 252-636-0936. We have a photo gallery on the specs page. We think you'll like what we have. Joseph Haynes has been the minister of music at Undenominational Pentecostal Holiness Church in James City, NC for 10 years. He is now using his partnership with Disc Makers to send a message to the youth of his hometown. "There is so much talent in New Bern; but without an outlet we run the risk to losing these potential entertainers to drugs and crime." For those who are familiar with Disc Makers, DIY musicians can use their trusted network of partners to jumpstart their career. For artists willing to work hard and invest in their talent, Mr. Haynes will offer discount studio prices which will include the online mega bundle package from Disc Makers. Combine that with an EPK from Sonic Bids, and song submission from Taxi; an artist may have the perfect combination of services to get their career in entertainment going. Haynes has made it abundantly clear that this deal is not for artists who are not prepared or doing this as a hobby. On the Service and Pricing page, you will notice that the cost to create an entire album is $2500. Although the price does not change, the $2500 now includes the online mega bundle, EPK, and song submission service. Industry professionals charge thousands of dollars for such a package, but Global Sounds will include it with your recording session. "Perhaps these young men and women will look at this opportunity and see that there is someone out there dedicated to the pursuit of excellence in entertainment." Says Haynes. gsweb2010/J. Haynes Sr. featured on 160 different sites! If you look up gsweb2010 on google.com you will see Joseph Haynes Sr featured on nearly 160 sites across the internet. Not bad considering that his internet debut started in May of 2010. Everything from youtube videos to twitter quotes can be seen, and he has worked hard to maintain consistancy. Recently, Haynes set up a myspace page featuring sample works he has not yet released to the public. A full studio schedule has delayed the release of his album, but he continues to make video appearances and keep his sites up to date.